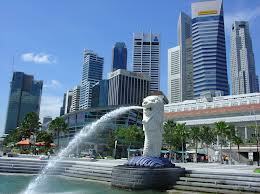 This week’s post is celebrating Singapore and from our MD, Asia – Kathryn Woof. Yesterday was National Day in Singapore, my third one in the Lion City, and there are a few things I love about this yearly display of patriotism/military might/firework fandangery. For one, weeks before the day itself, the Singapore armed forces practice the parade which they will be running on the day itself, which means fighter jets zooming past the sky scrapers, easy jokes about Top Gun being made around the city (well, maybe that’s just me actually), Chinook helicopters tugging ginormous Singapore flags through the sky out in the Singapore Straits, and a ‘practice’ fireworks display every Saturday at 8pm. Secondly, coming from a country where our National Day is largely ignored (can any English reader say which day St George’s actually is off the top of their heads?…actually, I bet @robfanners can!) I love how the whole city state turns out dressed in red: couples, families, babies, grandparents, young, old – there are just heaps of people all around Marina Bay, there to celebrate their country’s birthday. And what goes with that is an enormous chance to build a marketing campaign. Of course it does – it can’t be ignored! This year my favourite was Mentos who pushed the boat out to a point where the Singapore censors presumably couldn’t see it happening, and released a viral on you tube that will certainly raise a titter and an eyebrow from anyone who’s spent time here, done business here, or had the pleasure to live in this quirky little red dot. For your viewing pleasure – the National Night video.